DC Filter v3.1 - Stop Transformer Humming! 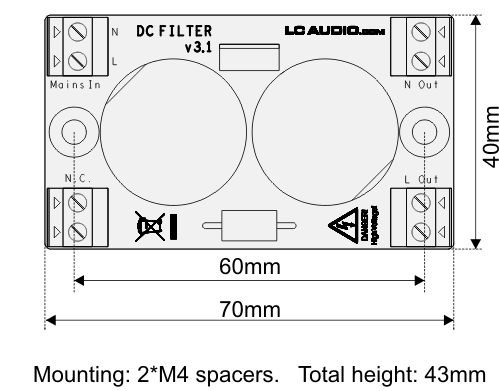 An effective, newly designed version of our popular filter for removing DC from the mains AC. 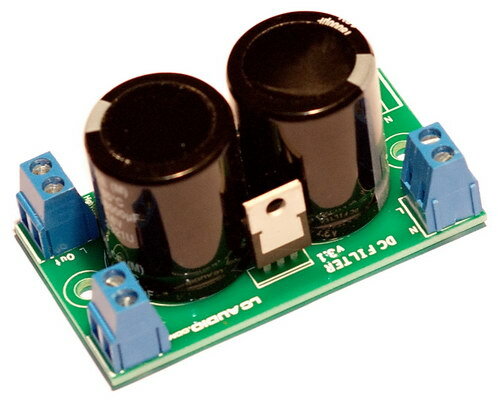 The DC Filter is inserted between the mains grid and the primary windings of the transformer. This way you can avoid mechanical humming from the mains transformer, caused by a DC component on the mains grid's AC voltage. The DC component typically comes from unbalanced loads on the mains grid, such as hair dryers, industrial machinery etc. using only half wave rectification. One half of the AC sine wave is loaded while the other is not. This causes imbalance, and a DC component that typically result in the transformer core saturating (and often humming). 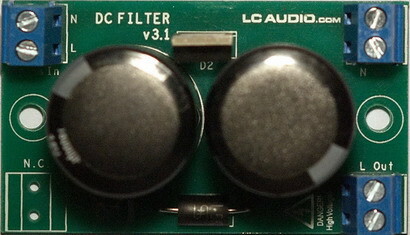 With this filter module you can remove the DC component. Thus the electrical noise from the typical very large peak currents resulting from the saturated core is removed - and your power transformer kept quiet.. The filter can be used for up to 600 VA idle load, and 1200 VA max load (at 230VAC, half at 115VAC). The PCB has room for an extra terminal that for instance might be used for series-connecting 115VAC windings for 230VAC use.